Bunny�s practicing a little self-help before his big run. 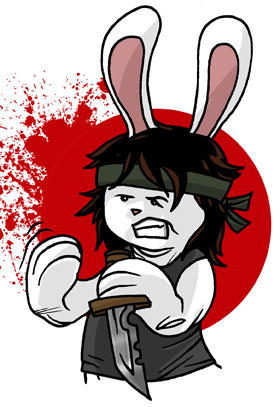 And in the incentive image for today I�ve got him celebrating the release of Rambo in full gear. 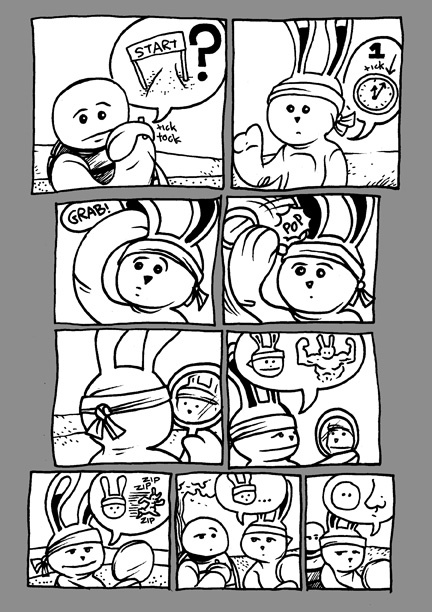 I like to think that Bunny has a lot of Rambo�s style in him normally with his constant scowl and torn bandanna. The wig and tank top really complete the look though. I�ll keep it short and sweet today but if you missed Wednesday�s post about the new Victory T-shirts, click on back and have a look. 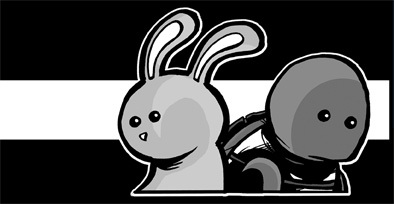 And be sure to stop back on Monday for the next installment of TVB! Have a great weekend everyone!